Motorola has already rolled out the Android 7.0 Nougat update to its Moto Z's and Moto G4/Plus in most of the regions. However, the company has now started rolling out the Android 7.1.1 Nougat update for the mid-ranged Moto Z Play. Few Moto Z Play users have reportedly started receiving the Android 7.1.1 Nougat update with latest June 1, 2017 Android security patch. Motorola also adds Video calling Duo application, Moto Mods v2.0, Stability improvements other interesting features along with Android 7.1.1 Nougat goodies. 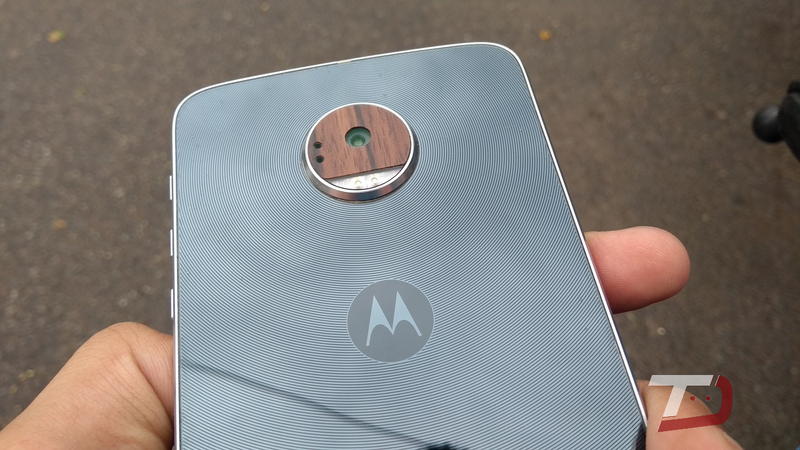 For now, only a few users have started receiving the latest Android 7.1.1 update on their Moto Z Play. 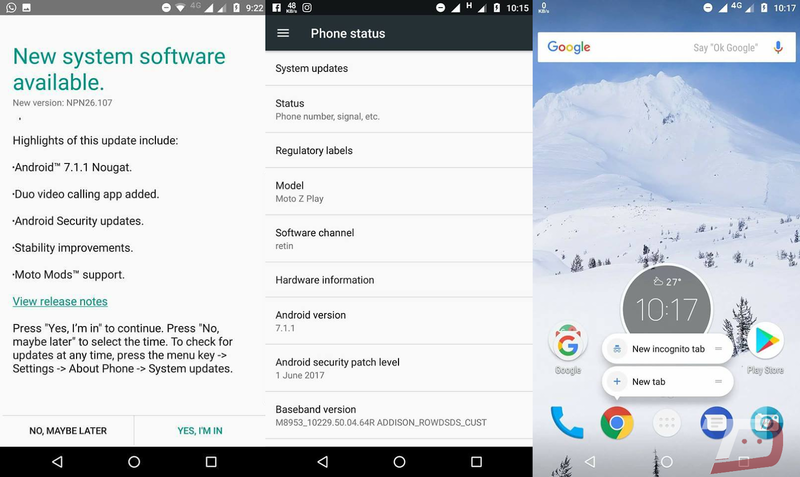 This means that the Android 7.1.1 Nougat won't be coming to all devices at once, but selected users will get the update. Thanks ಜಯಂತ್ ಗೌಡ Got the update? let us know in the below comment section!